A novelist, playwright and screenwriter. Born in Poznań in 1938. Głowacki lived between Warsaw and New York from the 1990s until he passed away in August 2017. A novelist, playwright and screenwriter. He launched his career as an author with superb short stories in which he described, with great insight, the cultural and social phenomena of the 1960s and ‘70s. With a winning irony, Głowacki laughs at the materialism and lower middle-class prejudices and snobbism in Warsaw at that time. The short-story collections The Nonsense, Spinner (1968) and The New La-ba-da Dance (1970) made the young writer extremely popular. His fame as a scoffer and lampooner was also based on the regular publication of satirical articles, which were, on the whole, devoted to social phenomena. In the late 1960s and early 1970s, Janusz Głowacki took part in several much-talked-about films as an actor and screenwriter. 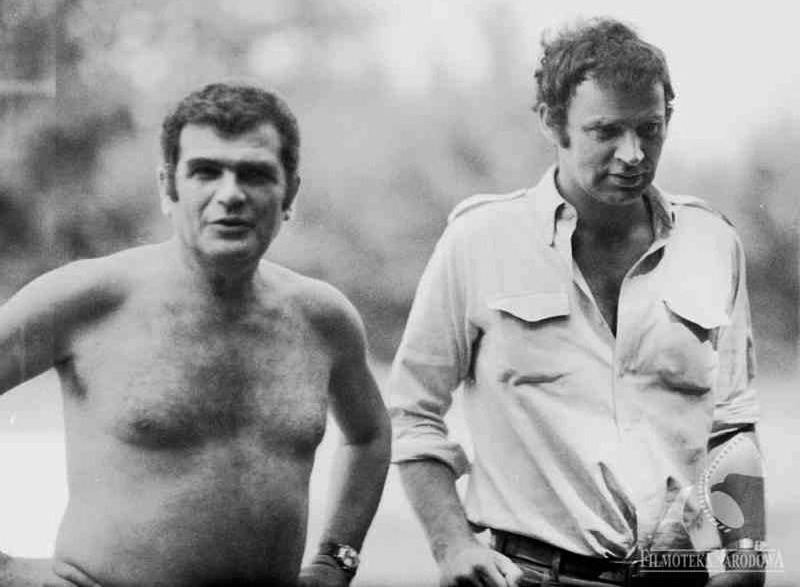 These included co-writing the screenplay for Marek Piwowski's Psychodrama (1969) and The Cruise (1970), and writing the screenplay for Andrzej Wajda's Hunting Flies (1970), and Janusz Morgenstern's This Love Must Be Killed (1972). In 1999, Głowacki's screenplay, Hairdo, won the Tony Cox Screenwriting Award in the Nantucket Film Festival Screenplay Competition. Extremely clever and provocative writing... Mr Głowacki has a keen ability to mine the dark absurd humor in the language of terror, and makes elegant Kafkaesque comedy out of his nation's ongoing nightmare of repression. A very cruel, disappointing, awful microcosm of the world because it's a Puerto Rican alley, Polish alley, Ukrainian, Jamaican, Cuban. I spent a lot of nights and days in this park. Some were funny, some were nightmarish. I drank and talked with them, became friends. The contemporary Antigone, the Puerto Rican Anita, repeats the gestures of her predecessors, yet the strength of this work is that the writer succeeds in creating a universal allegory. ‘I think it's a very warm play,' says the author, ‘full of feelings. It's a love story actually.' 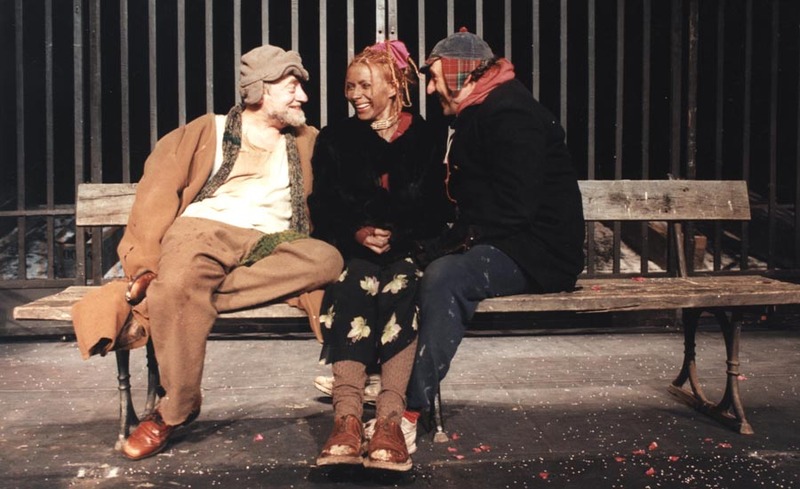 Antigone in New York has been staged in Prague, St. Petersburg , Moscow, Bonn, Yale (Repertory), Atlanta, New York (Vineyard Theatre), Mexico City, Croatia, Lithuania, Paris (where it received Le Balladine Award for the best play of 1997) and in theatres across Poland. The play has been translated into 20 languages. Głowacki's other plays include, Fortinbras Got Drunk, which enjoyed its American première at the Fountainhead Theatre in Los Angeles in 1990, and was staged in Moscow, Kraków, Sarajevo, London, and Los Angeles, and The Fourth Sister, which was premièred in Warsaw in 2000, and won the Grand Prize at the International Theatre Festival in Dubrovnik in 2001. He has also written a number of one-act plays including A Walk Before Dawn, Journey to Gdańsk (1982), and Home Section (1995, and published, by Applause, in ‘The Best American Short Plays '95-96'). He has also received the Drama League of New York Playwriting Award, and a Guggenheim Fellowship. What's more, the world famous theatre expert, Jan Kott, wrote of Antigone in New York that it is one of the three most important Polish plays of recent decades and Głowacki deserves to be placed alongside the greatest of modern Polish dramatists - Sławomir Mrożek and Tadeusz Różewicz. The author of Being There believed in coincidence. Taking that into consideration, Głowacki wonders whether Jersey's biography was the contemporary version of the Oedipus myth. The Gods told him that he would kill his father, marry his mother and end up tragically. At the same time, just for the sheer fun of it, they let him believe he was free, successful, and gave him a family. "And then things fell apart", as Głowacki writes. Similarly, Kosiński was born when Hitler came into power. "At this moment, he and the entire Jewish nation were sentenced to death by the divine decree. Yet, somebody above decided it would be fun to save the boy for now, let him make a brilliant career, and then come back for him. The role of Erinys, the goddesses of revenge, was played by the journalists..."
Głowacki wrote the script for Andrzej Wajda's movie Wałęsa. Man of Hope about Lech Wałęsa, an opportunity which also resulted in the book Przyszłem, czyli jak pisałem scenariusz o Lechu Wałęsie dla Andrzeja Wajdy, in which Głowacki presented a more subjective take on the engineer-turned-politician's story and the social backdrop of his activities. In October 2011, Głowacki was named Warsaw's Author of the Year in 2011. The most prestigious category of the Capital of Warsaw Prize is the title of the Warsaw Creator, given to Głowacki for his lifelong literary chievement. In November 2011, Głowacki won The Czesław Miłosz Award, given by the USA embassy in Poland for contributions to furthering friendly relations between Poland and the U.S.
Janusz Głowacki passed away on 19th August 2017. Wirowska nonsensu / The Nonsense Spinner, Warsaw: PIW, 1968. Nowy taniec La-ba-da i inne opowiadania / The New La-ba-da Dance and Other Stories, Warsaw: PIW, 1970. Cudzołóstwo ukarane / Adultery Punished, Dialog, 1972. My Sweet Raskolnikov.Obciach / My Sweet Raskolnikov. Chop, Warsaw: PIW, 1977. Mecz / Soccer, Dialog, 1976. Moc truchleje / Give Us This Day, Warsaw: Krag, 1981. Polowanie na karaluchy / Hunting Cockroaches, (1986) Dialog, 1990. Fortynbras sie upił / Fortinbras Gets Drunk, Dialog, 1990. Antygona w Nowym Jorku / Antigone in New York, Dialog, 1992. Ścieki, skrzeki, karaluchy. Utwory prawie wszystkie / Sewers, Frog-spawn, Cockroaches. Nearly Complete Works, Warsaw: BGW, 1996. Jak być kochanym / How to be loved, Warsaw, Świat Książki 2005. Pięć i pół / Five and A Half, Warsaw: Świat Książki, 2007. Good night, Dżerzi, Warsaw: Świat Książki, 2010. Przyszłem, czyli jak pisałem scenariusz o Lechu Wałęsie dla Andrzeja Wajdy, Warsaw: Świat Książki, 2013. Author: Krystyna Dąbrowska, December 2009. Edited and updated January 2012.